European Village website is a great place to advertise your business, product or service. The content is consistently local, yet diverse. It features community oriented content and by and for the community. All the blog contributors are Flagler County residents (from Palm Coast and Flagler Beach), and making the content and the audience extremely targeted. 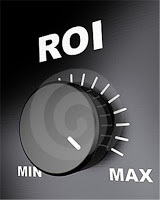 The advertising rates are affordable, with guaranteed Return-On-Investment (ROI). Featured Business section on the homepage is reserved for European Village businesses only. But banner ads are open to all (subject to approval). Your banner ad will be visible on each and every blog page. We will also share statistics with you as to see how your ad is performing (how many click-throughs it is generating). On this website, there are limited advertising spots available in the format of Banner Ads in the sidebar. Your ad will be viewed with each page view (they are not on rotating basis) on the inside blog post pages. Ads are industry-exclusive (meaning only one ad is available per industry). Banner Ad size is 250 pixel wide, and max 200 pixel in height. There is a one time setup fee of $20 with each campaign. All campaigns must be prepaid. You must produce your ad according to the size and content guidelines, or we will gladly produce the ad for you for a charge of $25 with submission of your electronic assets. For more information, or to request an insertion order, please fill out the form below. Please also review the advertising guidelines, as you must agree on these terms and guidelines prior to commencement of any advertising campaign. Ads should contribute to and be consistent with the overall user experience. Thus, we are committed to protecting our user experience by keeping the site clean, consistent, and free from misleading advertising. 1. Ads containing a URL or domain in the body must link to that same URL or domain. 2. Ads must send users to the same landing page when the ad is clicked. 3. Landing pages cannot generate a pop-up (including “pop-overs” and “pop-unders”) when a user enters or leaves the page. 4. Landing pages cannot use “fake” close behavior (ie. when a user clicks the ‘close’ icon on the page, the page should close down and no other behavior should result). 5. Landing pages cannot utilize “mouse trapping” whereby the advertiser does not allow users to use their browser “back button” and traps them on their site and/or present any other unexpected behavior (for example: navigation to another ad or page). 6. Ads cannot require viewers to click on the ad to submit Personally Identifiable Information (such as name, date of birth, phone numbers, social security number, physical addresses, or email addresses) on the landing page or in the ad, except to enable an e-commerce transaction and where the ad and landing page clearly indicate that a product is being sold. 1. Ads must directly relate to the content on the landing page. 2. Ads must clearly represent the company, product, or brand that is being advertised. Products or services promoted in the ad must be directly available on the landing page. 3. Ads must not include unsubstantiated claims, including but not limited to prices, discounts or product availability. 4. Ads cannot insult, harass, or threaten a user. 5. Ads must not contain audio that plays automatically, without a user’s interaction. Any automated animation must cease after 15 seconds and must not replay. 1. Ads must not be false, misleading, fraudulent, or deceptive. 2. Ads will not be permitted in cases where a business model or practice is deemed unacceptable or contrary to our overall advertising philosophy. 3. Ads, or categories of ads, which receive a significant amount of negative user feedback, or are otherwise deemed in violation of community standards will not be permitted. Content that depicts a health condition in a derogatory or inflammatory way or misrepresents a health condition in any way. 1. You may not give data you receive from us to any third party, including ad networks. 2. You may not use user data you receive from us or collect through running an ad, including information you derive from your targeting criteria, for any purpose without user consent. All campaigns must be prepaid. Advertising for this website is managed by Office Divvy, LLC. Income derived from advertising is used for expenditures related to the maintenance and marketing of the site.